I've found so many fantastic resources as I've researched Mary for the blogathon. I wanted to share them with all of you, so you can enjoy them as well. There's a lot of information, so this is going to be a two-parter. This week, I'm posting about resources I've found online. Next week I'll share some of the Pickford books I've had the pleasure to read. This is the first place to look for any online research about Mary. It's got a great gallery of personal and professional photos, a concise, but detailed biography and a solid list of recommended reading. There's also information about the Institute's programs and how to get access to the films in the Mary Pickford Library, and much more. Though the quality of the clips on the Internet Archive can often be pretty scrubby, you can sample a lot of great Pickford media here. There are interviews, short and full-length films and movie magazines, among other things. I particularly love this CBC Radio Interview from May 25, 1959, because it is so charming to hear Mary tell her own story. She's putting on a show and enjoying it. 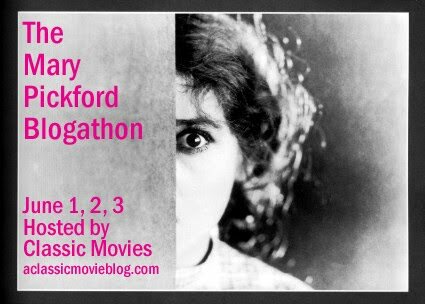 It has been claimed that Rob Brooks, of Toronto, Ontario has the largest Mary Pickford collection in the world. Check out his site to get a taste of his astounding archives. He has been collecting since 1979, though according to Cliff at Immortal Ephemera, most of the collection has been gathered in recent years, since the arrival of auction sites. I've found some interesting interviews as well. Including one with her nieces in which they are quite candid about their Aunt Mary. It's a beautiful, personal perspective on Pickford. I've only just begun to dig through this enormous collection of Mary Pickford interviews from the silent era on Taylorology, the bare bones William Desmond Taylor tribute site (Taylor directed a handful of Pickford's films). Are there any online Pickford resources you like that I have missed here? I would love to know about them! Thanks so much for these, Mary is definitely elusive. Sadly it seems that A Little Princess is not widely out there. The only place I've found is YouTube showing about 14 minutes of the movie. The rest of the film is apparently on some Frances Marion DVD that's going for 100 bucks on Amazon. Gonna try to find the rest of the film...if anyone has suggestions I'm open to them. I hope you found these useful Page! Kristen--I was able to track down a copy of the Frances Marion DVD, "Without Lying Down," at the library. Even if there is not a copy in your local system, you may be able to borrow one through inter-library loan (which can typically be arranged at your local library). I've been able to do that with several kinds of materials in the past, thought it is possible that there may now be some restrictions on movies, as has happened with my local system. Give it a try though. You might luck out! Very nice Luke. Thanks for sharing. I love the site design!